The course consists of two modules that provide an introduction to Christian theology, formed as a result of over 2,000 years of church history. It introduces students to the major differences between various schools of Christian theological thought and familiarizes them with theological methodology and its influence on the nature of theological thought. The course also provides an argumentation of the basic orthodox doctrines upon which the Christian faith is founded. In this course students will study one of the books of the New Testament using sound hermeneutics techniques. Certain passages of the studied book will be analyzed, focusing on the authorship, purpose of the book, significance of the passage in the context of the entire book, and the meaning of the key words and grammatical constructions of the studied passage. This analysis is used as an example of possible methods that may be used to prepare for sermons, interviews, or lectures. Having completed this course, future and current ministry workers will develop important skills for fruitful Scripture study and public speaking. The course aims to develop the gift of preaching by studying principles and methods used to prepare for a sermon and also the articulation involved in public preaching of the Gospel. Besides lectures, the course includes practical exercises that will help in the development of important skills such as planning speeches, using proper pronunciation, and employing good methods of delivering the message. 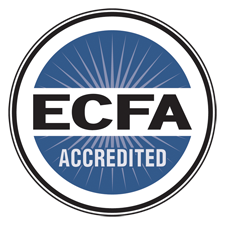 The course covers the fundamental principles of the Christian worldview in comparison to other worldview systems. The students will be presented with well-argued responses to typical questions of contemporary society, including questions concerning the rationality of believing in God, the validity of moral norms, the uniqueness of Christianity, searching for the meaning of human suffering, and other issues. The course explains the necessity of one-on-one counseling that is performed in local churches. Particular attention is paid to the typical causes of difficulties in the spiritual and personal lives of believers and their families, and also those people who are just drawing near to God. In the course materials provided, the students will find recommended ways and methods of effective Christian counseling. The course also gives specific examples of ways to solve important personal and spiritual problems. The course examines the dynamic interaction of people in a group setting (church or organization), explains the role of a leader, and analyzes the challenges that leaders must overcome to be effective in their ministry. The course offers a thorough analysis of leadership styles, and offers effective principles and methods for Christian leadership. The course focuses on the personal spiritual life issues of a Christian involved in active service in a church or mission. The course offers a biblical perspective on the personality development of a Christian who wants to be effective and blessed in ministry, and considers and recommends principles for a normal spiritual life and ways to overcome obstacles for its implementation. The course examines the underlying biblical principles behind the mission of the church in the modern world and reveals the factors affecting its qualitative and quantitative growth. In particular, the course provides an extensive statistical study on the growth of churches around the world. It considers the specific context of the life and ministry of immigrant churches and recommends practical steps for overcoming social exclusion of local churches, thus providing an opportunity for more effective ministry, not only in the short-term, but also in the long-term perspectives.